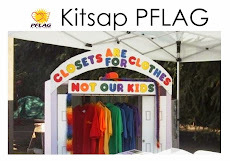 Kitsap PFLAG Meetings are back! PFLAG meetings are starting up again in Kitsap County! The first meeting is Monday February 27th at the Poulsbo Library at 6:30.